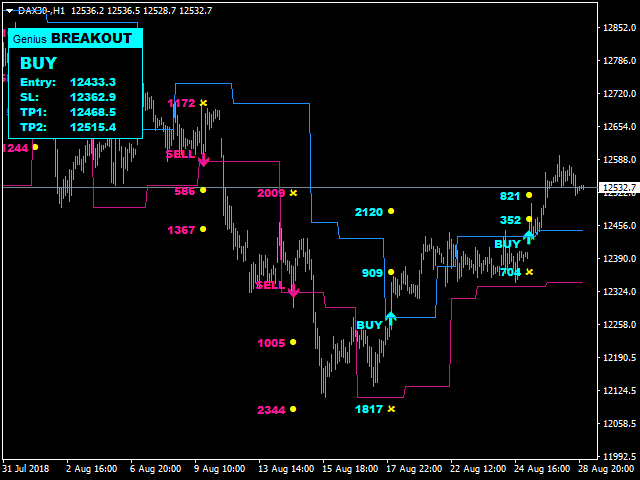 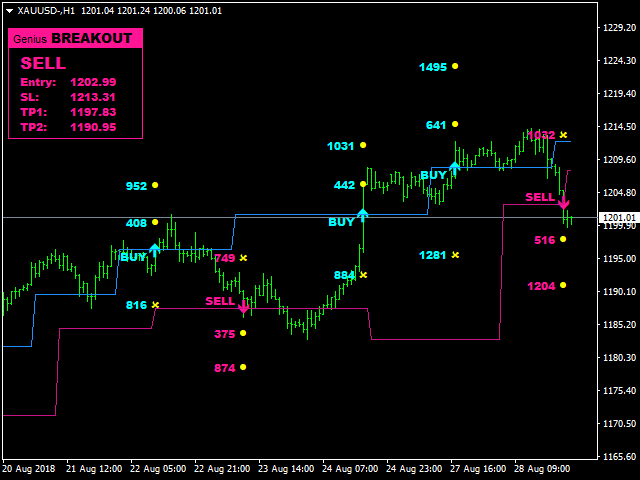 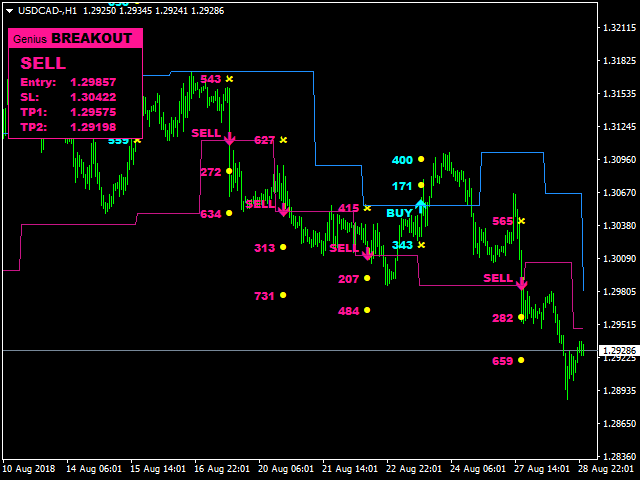 Genius Breakout indicator provides Entry Signal, StopLoss and TakeProfit levels by using special breakout pattern. 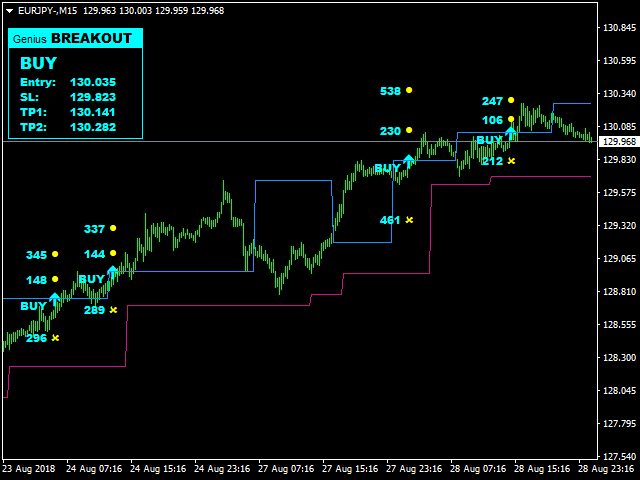 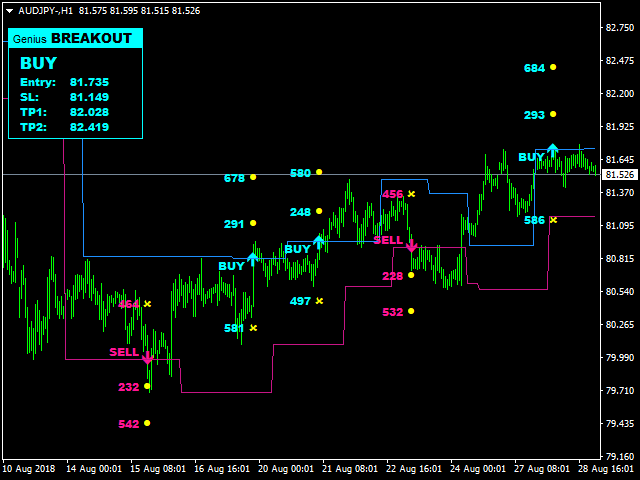 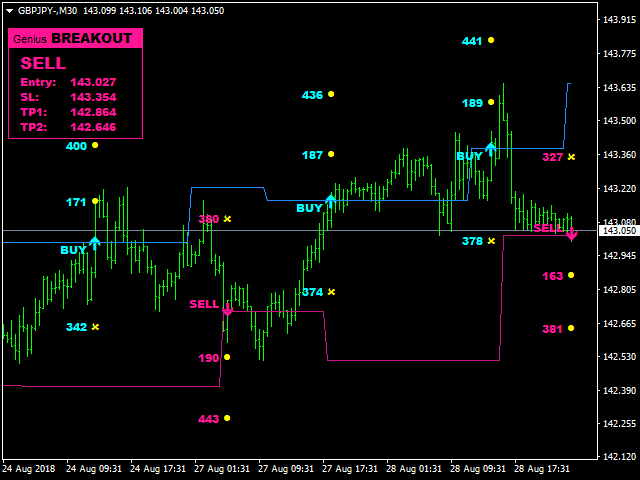 If you like breakout systems, you may use the buy and sell signals for trading. 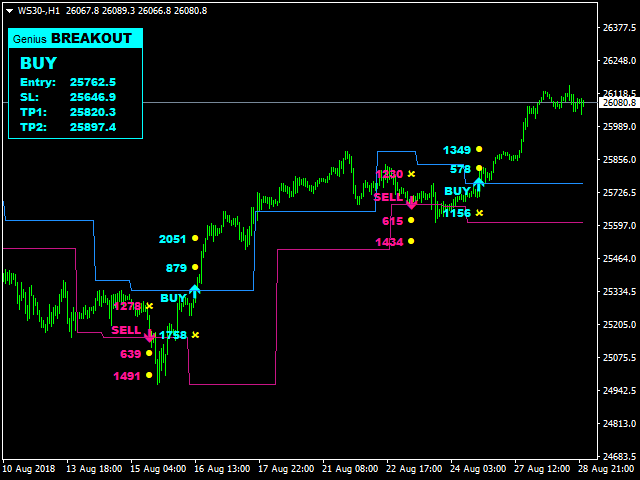 It clearly shows where to Buy or Sell, where to place your StopLoss and TakeProfit levels. 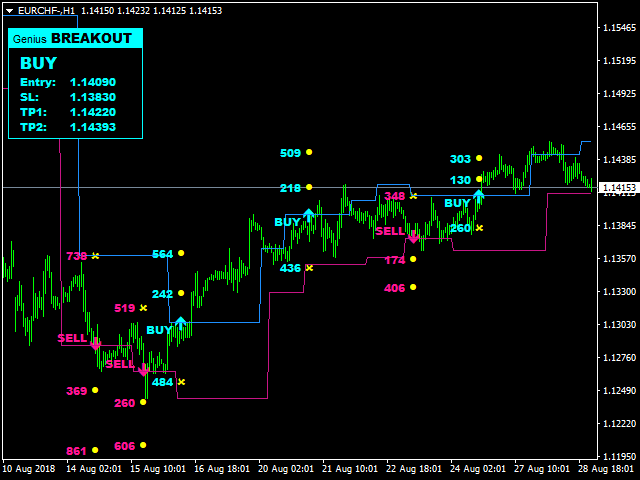 Resistance and Support Levels are calculated by special formula. 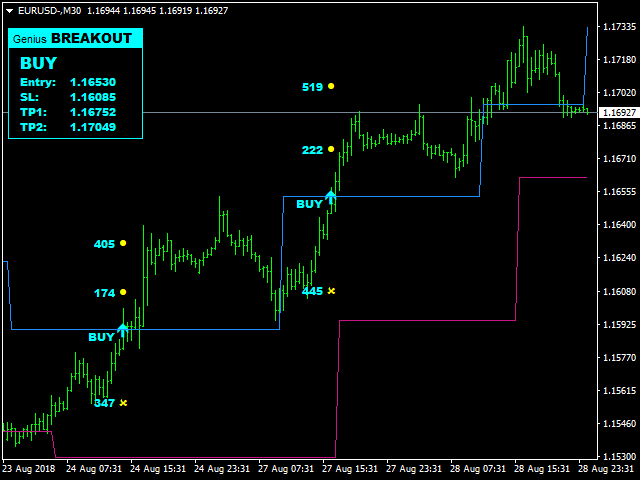 Resistance and Support Levels are automatically drawn. 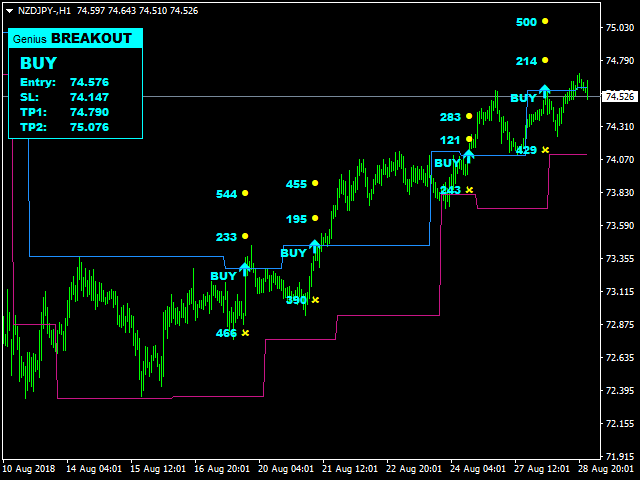 TakeProfit Factor - multiplier used to calculate TakeProfit levels (default: 1.0). 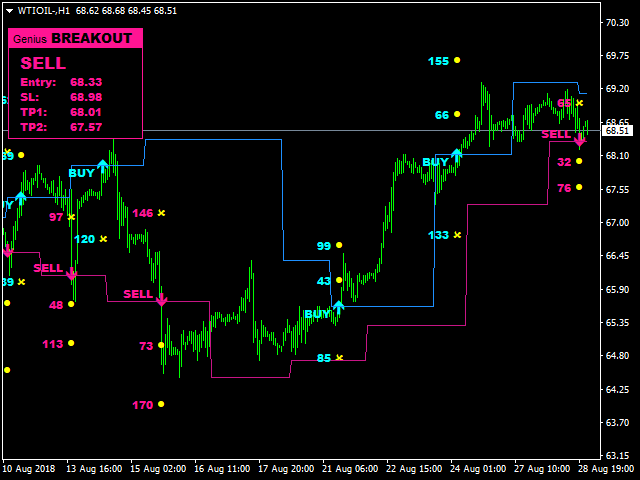 StopLoss Factor - multiplier used to calculate StopLoss levels (default: 1.0).